by Debbie Coffey Copyright 2013 All Rights Reserved. 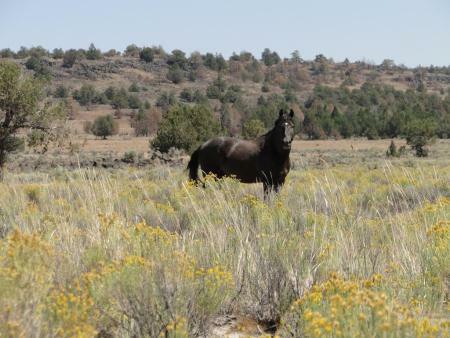 At the upcoming BLM National Wild Horse & Burro Advisory Board meeting, the board will likely bring up the subject of the field spaying of wild mares. It is important to keep in mind that the BLM and the U.S. Fish & Wildlife Service (also a Department of the Interior agency) are partnering in EXPERIMENTING on our wild horses (and, in the case of the Sheldon National Wildlife Refuge, “feral” horses). This BLM advisory board was even discussing tubal ligation for mares (which seems to have been in trials in 2004). Below is a presentation seemingly by LEON PIELSTICK, DVM, the veterinarian who has been conducting experiments on the field spaying of mares, and it shows (possibly Leon Pielstick himself) spaying a mare at a wild horse sanctuary. There are also photos of a wild stallion during a vasectomy procedure, presumably at Sheldon. 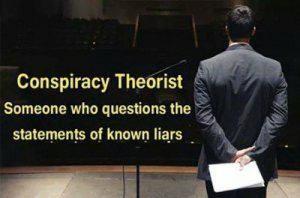 Your tax dollars are paying for this experimentation. Click (HERE) for the entire independent observers’ summary report and many photos. There has been no further official round-up announcement for Twin Peaks since last fall’s after the Rush Fire Environmental Assessment was published by BLM stating that they were going to capture and remove all but about six-hundred wild horses and burros. It is unknown at this time when this capture has been rescheduled for but in the meantime BLM did an aerial population survey in April of this year and stated there were 1,750 wild horses and burros on the Twin Peaks HMA. This data was FOIA’d and although that number was written on the aerial log, they only photographed 460. They had two photographers in the helicopter and per their map a very thorough coverage of the HMA was done, but they only physically photographed 460 wild horses and burros. Even though we paid with our tax money for four BLM employees and the cost of the helicopter to document the actual population of wild horses and burros … they did not. Over the four days in flight only 26% of the wild horses and burros that were “counted” were photographed. In fact there were far more photos taken of coyotes, elk, antelope, and other landscape features than of wild horses and burros. Although there was ample opportunity, this left 1.290 wild horses and burros that they “counted” undocumented with photos during the census flight. Why? The aerial census over the four days clearly fails to sufficiently document BLM’s stated wild horse and burro population. In the meantime, this Thursday will be an important day for the future of the Twin Peaks HMA and all wild horses and burros. This is the first time in the history of the Wild Horse Act that an Appeals Court will determine whether the BLM’s interpretation of the Act is consistent with Congress’s intent to protect these living symbols of the West over 40 years ago. Taking its marching orders from Wyoming’s powerful livestock industry, the Bureau of Land Management (BLM) is planning the second roundup in less than three years of wild horses living in the Adobe Town and Salt Wells Creek Herd Management Areas (HMAs) in Wyoming’s pristine Red Desert region. The 1.5 million-acre public land area is managed as a complex due to wild horse movements between the two HMAs. The roundup is proceeding despite the fact that the Adobe Town HMA is substantially below the low end of the Allowable Management Level (AML) of 610 – 800 horses. Even more disturbing, the BLM intends to remove all wild horses on “private land or checkerboard land within the Rock Springs Office portion of the HMA.” Since the majority of the Salt Wells HMA is “checkerboard” (alternating public and private land parcels), and since the wild horses living there cannot tell the difference between public and private land, this raises the alarming possiblity that the entire HMA will be zeroed out! This stepped-up roundup plan is the result of a lawsuit filed last year by the Rock Springs Grazing Association, which owns or leases the checkerboard lands for livestock grazing. The legal action — which the Interior Department itself advised ranchers to file – seeks to compel the BLM to remove all wild horses from the public and private lands in the checkerboard area. 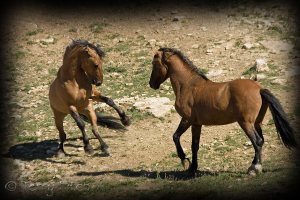 AWHPC and our coalition partners, The Cloud Foundation and the International Society for the Protection of Mustangs and Burros, have intervened in this lawsuit in an attempt to prevent the government from simply settling the case by agreeing to wipe out all the horses on the 2 million acres that constitute the Wyoming checkerboard. Yet, deciding not to wait for the outcome of this litigation, the BLM is now proposing this potentially devastating roundup. Award winning Cinematographer Ginger Kathrens to join author R.T. Fitch and noted equine advocate Simone Netherlands in a wild horse and burro advocates press conference on October 29th during opening day of BLM’s Advisory Board Meeting. Salt Lake City, UT (October 27, 2012) – The Cloud Foundation, Respect4Horses and Wild Horse Freedom Federation will hold a special press conference on the current state of America’s mismanaged wild horses and burros. The groups are calling for a halt to all Bureau of Land Management (BLM) roundups that are destroying the last of America’s wild herds at enormous and escalating taxpayer expense and an immediate investigation into credible allegations where stockpiled wild horses and burros are being sold to known kill buyers for eventual slaughter for human consumption abroad. The media and the interested public are encouraged to attend this public press conference at the Radisson Hotel Salt Lake City Downtown (215 West South Temple) from 12:00 to 1:00 p.m. on Monday, October 29th, 2012. The public press event will take place on the opening day of the BLM’s controversial Wild Horse and Burro Advisory Board meeting occurring, likewise, at the Radisson Hotel. 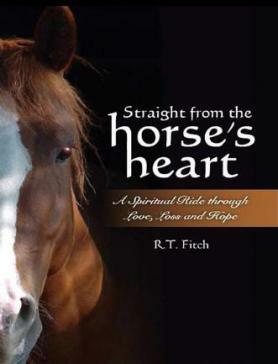 Note from PPJ Gazette: It is with a great deal of pride in the extensive research and writing produced by one of our favorite authors, Debbie Coffey, that we join with R.T. Fitch and everyone on his site in announcing the position now held by Debbie on the Board of Directors of Wild Horse Federation. Congratulations Debbie! From all of us at PPJ! Noted investigative reporter and wild equine advocate, Debbie Coffey, has graciously stepped in to fill the vacancy left by Laura Leigh’s voluntarily resignation from the Board of Directors (BoD) of Wild Horse Freedom Federation (WHFF).